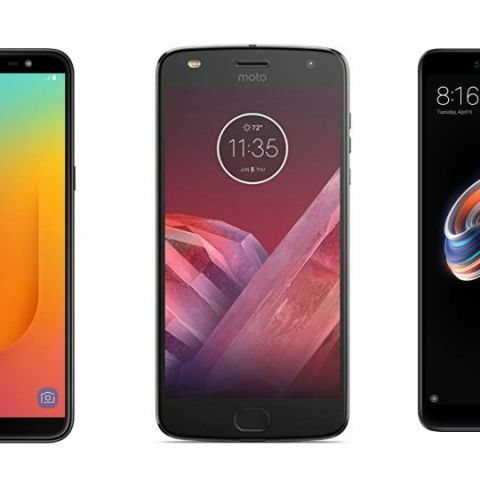 Today, we bring you the best smartphone deals that are currently going on Amazon. The products we have in the list down below are from brands like Xiaomi, Samsung and more. Are you thinking of purchasing a new smartphone? Don’t worry, we’ve got you covered. Today, we have handpicked the best deals that Paytm Mall is currently offering. The platform is offering a pretty good discount on smartphones along with an impressive cashback. Let’s take a look at the deals. The Xiaomi Redmi Note 5 Pro sports a 5.99-inch FHD+ display with a resolution of 1920 x 1080 pixels. The device is powered by a 1.8GHz Qualcomm Snapdragon 636 processor, which is paired with a 4GB RAM and 64GB internal memory that is expandable up to 256GB. When it comes to the cameras, it has a dual 12MP + 5MP camera set up at the back with a 20MP unit on the front. Click here to buy. The Honor 9 Lite comes with a 5.65-inch FHD+ display with a resolution of 2180 x 1080 pixels. The smartphone is backed by Huawei’s own Kirin 659 octa-core processor. The device packs 4GB RAM and 64GB internal memory. Coming to the cameras, it has a dual 13MP + 2MP camera set up at the back with a dual 13MP + 2MP unit on the front. Click here to buy. The Samsung Galaxy J8 sports a 6-inch Super AMOLED HD+ display, which offers a resolution of 1480 x 720 pixels. The smartphone is powered by a 1.8GHz Qualcomm Snapdragon 450 octa-core processor, which is paired with a 4GB RAM and 64GB internal memory. The smartphone is equipped with a dual 16MP + 5MP camera set up at the back with a 16MP unit on the front. Click here to buy. The Moto G6 sports a 5.7-inch FHD+ display, which is protected by Corning Gorilla Glass 3. The smartphone features a 1.8GHz Qualcomm Snapdragon 450 octa-core processor, which is paired with a 4GB RAM and 64GB internal memory. The device comes with a dual 12MP + 5MP rear camera with a 16MP unit on the front. It also has a fingerprint sensor and face unlock. Click here to buy.